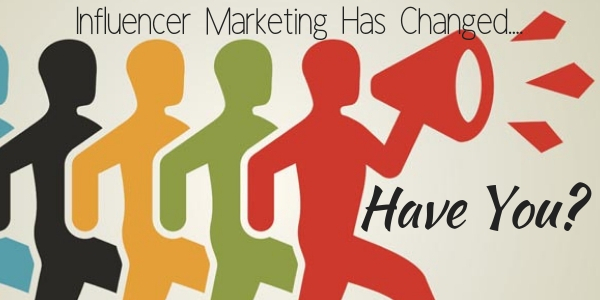 Influencer Marketing Has Evolved...Have You Updated Your Strategy? In the past, it was just the media and celebrities that influenced consumers when it came to marketing. Now, with the rise in social media, everyone now has a voice and the potential to influence others. But like with everything else, influencer marketing has evolved and the one size fits all approach that worked 4 to 5 years ago no longer is the case when it comes to identifying and engaging with influencers. Now you have to be much more targeted and much more specific. That’s because it’s impossible for general influencers to be authentic voices on everything and anything! This is where micro-influencers come into play. These individuals don’t have millions of fans and followers on Facebook, Twitter and Instagram. Instead they have a much smaller following. Maybe 10,000 max. What’s great about micro-influencers is they typically engage with a specific niche audience that views them as authentic and truthful. They may not reach the millions, but they can reach the eyeballs that truly matter for you and your brand. You can get even more specific and probably have even greater success by looking for what they call “nano-influencers”. These users usually have 1,000 or less social followers and usually are much more willing to promote and advertise a product or service for little or no cost. While these influencers’ audience may not have the numbers compared to going after a huge influencer, these are the types of influencers that have huge viral potential. That’s because many of these influencers are millennial’s and very active on social media. If one of these millennial nano-influencers advocates something, before you know it there will be a friend or two that will become engaged as well. Look for Influencers that are aligned with your brand and values. It isn’t enough to just find a blogger or influencer that is passionate about your product and wants to represent you. Dig into their social media profiles and feeds and see if their demo matches yours. You can even use third party tools such as HypeAuditor and Indahash to get a better idea of who their demos are and if their following is real or fake. How to they portray content across the board. An influencer maybe a wonderful writer and provide incredible written reviews. Their video skills though may be much less lackluster. Since this influencer will be associated to your brand, it is important that all their social channels live up to your brand standards. Engagement is more important than reach. Just because an influencer has a nice size reach doesn’t mean you should immediately target them. Instead look at their engagement stats. You know someone has true authority and authenticity if they are getting a lot of comments and shares on the content they are posting. Influencers with a large following with little or no engagement and response should be of a concern. It can potentially mean the content is not what the audience wants to see but more than likely their followers are bots and fake. Influencer marketing is a great strategy for almost any business or brand looking to get more exposure and new business. Be smart though about it as you don’t want your time wasted with little or no return from it. For a detailed influencer marketing strategy for your company and assistance with implementation and fulfillment contact The Interactive Imprint at 954-254-1650 or visit TheInteractiveImprint.com. ← Three Parts of Facebook That Are Going to Get Bigger (and Change) in 2019!